There are lonely, single skeins of yarn in every knitter's closet. Wherever they came from, those single skeins are a minor source of guilt for knitters everywhere. They really should be used, but for what? Here are 101 original and charming solutions to the perpetual one-skein problem. Contributed by yarn shops across the country, there are hats, mittens, scarves, bags, socks, ponchos, baby sweaters, belts, headbands, cell phone carrier, and even a tea cozy and set of coasters for the home. 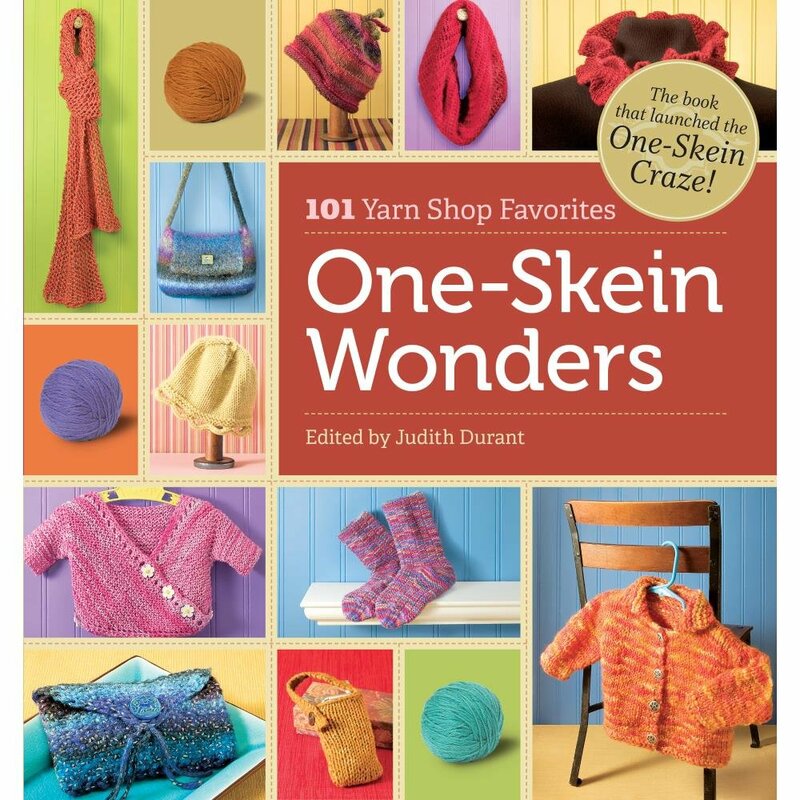 A scrapbook of tastes and styles that celebrates the ingenuity of knitters nationwide, this is a collection with appeal for every type of stitcher.